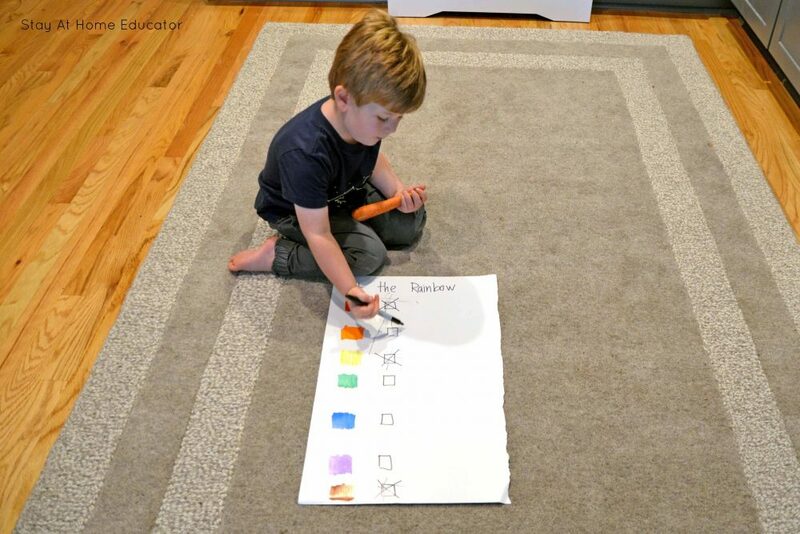 Eat the Rainbow color chart will get your child thinking about how different foods come in different colors! 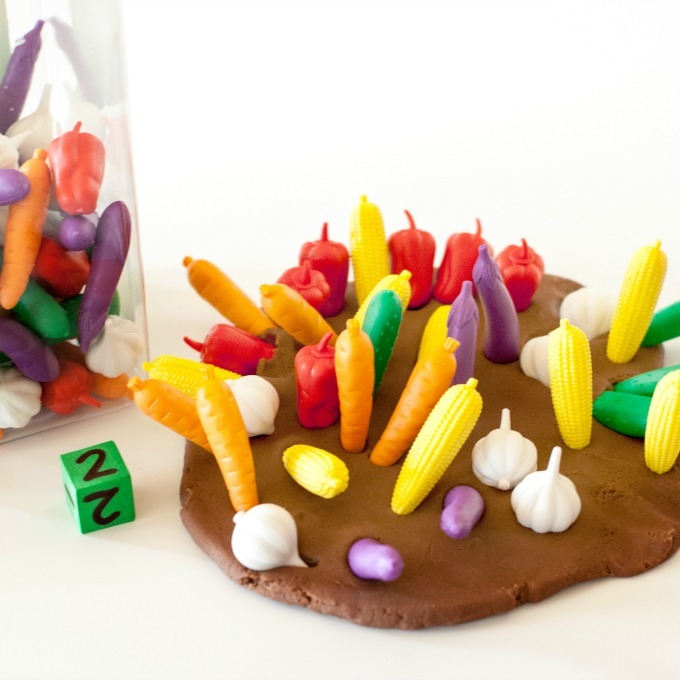 This is a fun way to teach healthy eating habits and maybe even encourage a new food to try. That’s a win-win! 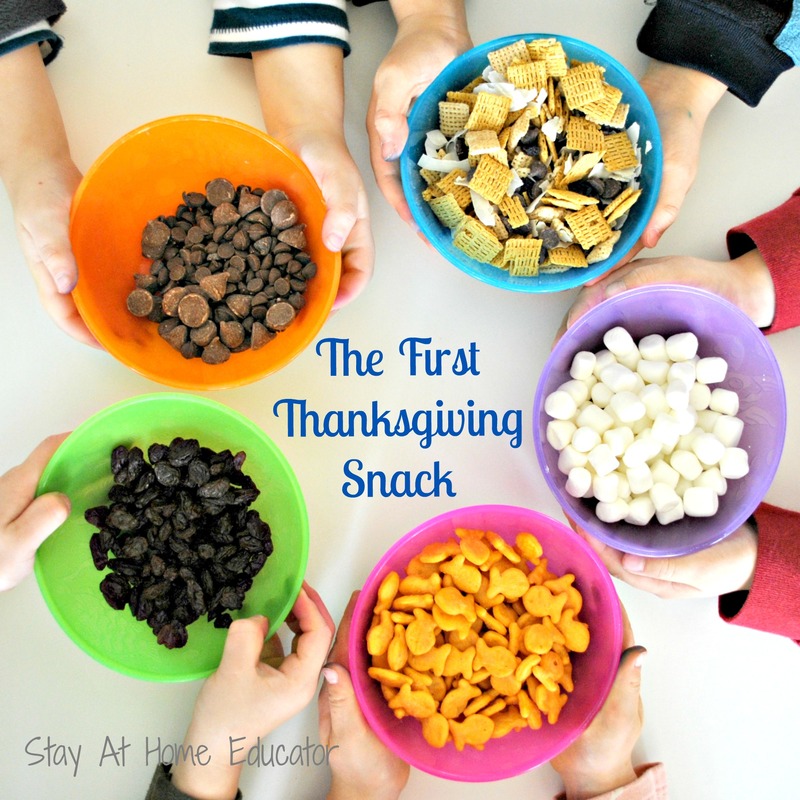 While not pictured, this post contains a free Eat the Rainbow activity printable. Be sure to grab it at the end of the post! Sound familiar? I am certain I hear this phrase more than I can count. If only I got a dollar every time. So my response back? I want my children to have this phrase in their mind as they begin to make choices on their own. I also want my children to understand which foods help their bodies grow and which foods help their minds think. This means that although my children enjoy cookies and treats, they also enjoy red peppers and apples. So sometimes, it may take this small conversation starter to get them on their way. 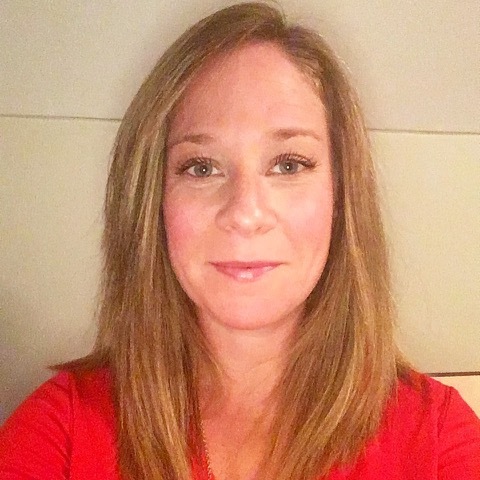 Remember that even the most basic exposure to new and healthy foods have a huge impact on your success as you teach healthy eating habits to your preschooler. So what seems like a small and simple conversation starter to the adult has a positive impact on the child. So don’t skip this step. Talking to your child about food will teach healthy eating habits! We keep this chart up in our kitchen as great visual and it takes seconds to make. I also keep this concept in mind when I am packing for a long car trip or school lunch. Remember, you can grab a printer friendly version at the end of this post and then you have a copy ready for each day! 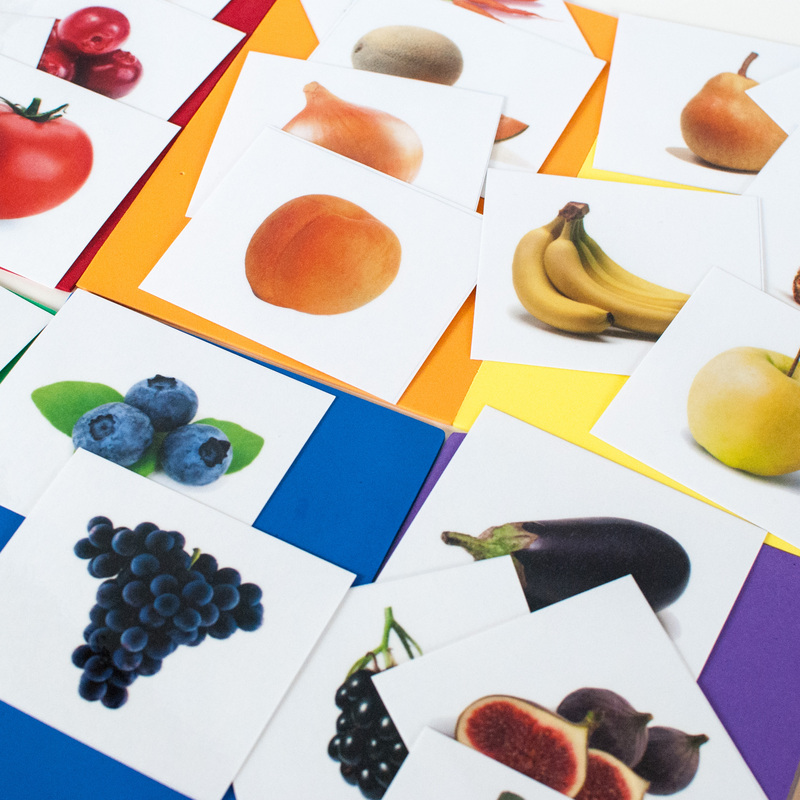 For this preschool activity, your child will take a look on their color chart to discover new foods for snacks. They will also have fun checking off the colors as they go throughout the day. This step makes them feel like big kids, but also helps them feel like they have control over their choices, even though there is going to be some strong encouragement from a parent or caregiver. For prep, I simply found a large piece of white poster paper. Next, I drew colored squares with boxes to check off beside them. I made sure we had some different colors in our refrigerator and pantry. 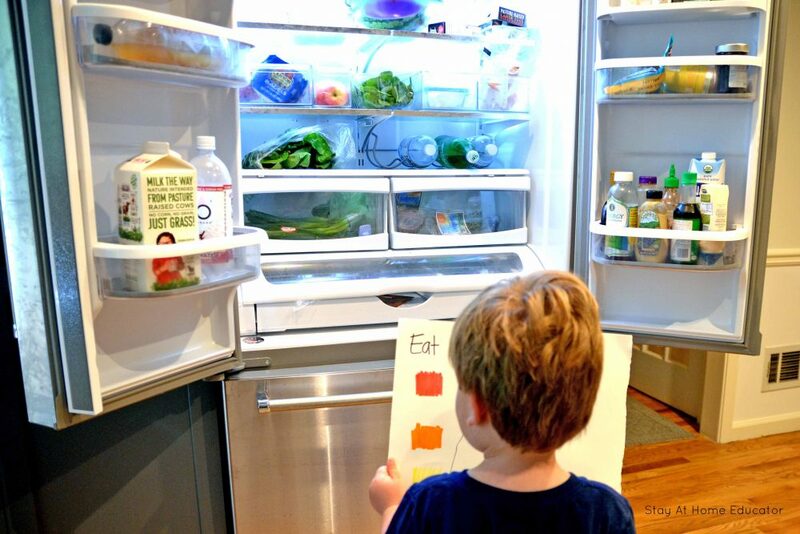 When I first introduced this activity, our fridge was not fully stocked, yet we were still able to find foods that matched our needs, so don’t think this activity can only be done after a grocery haul. 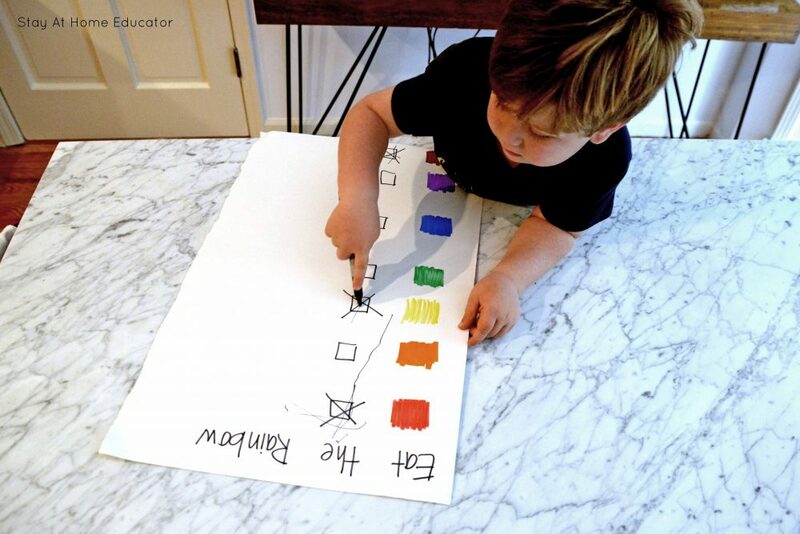 When my preschooler asked for a snack, I shared the Eat the Rainbow chart with him and gave him a small overview of the colors we have already eaten that day. And guess what he picked? A carrot. Score! Now initially, he was determined to have Pirate Booty. And I get that! I love some Pirate Booty myself. But I was able to steer him in a different direction once I introduced the Eat the Rainbow color chart. With a little redirection, he made a healthier food choice. Sure, he came back for Pirate Booty later in the day, but I also knew that he snuck in some vitamin A and antioxidants beforehand. The goal? Having children internalize this so that it begins to become their every day thinking with independent food choices. You will love having this Eat the Rainbow color chart on your fridge. 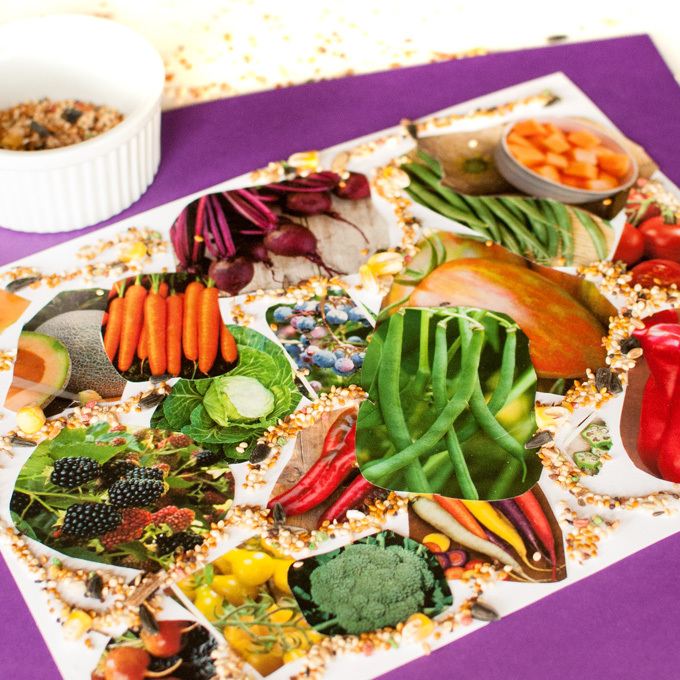 It really is such a fun and inviting way to teach preschoolers healthy eating habits. It is a great reminder to myself, and my children to keep our eating habits balanced. It also helps our children make independent decisions on their food choices without our restriction. Like I said. It’s a win-win for everyone! 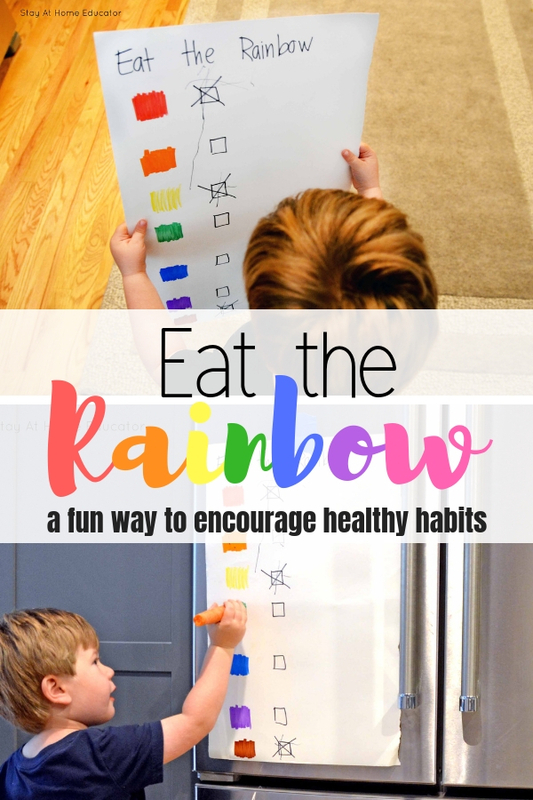 Want a FREE Printable of this Eat the Rainbow Activity? It’s s cinch to make a chart of your own, but if you’d like a printer-friendly version, you can grab it by clicking the image below. 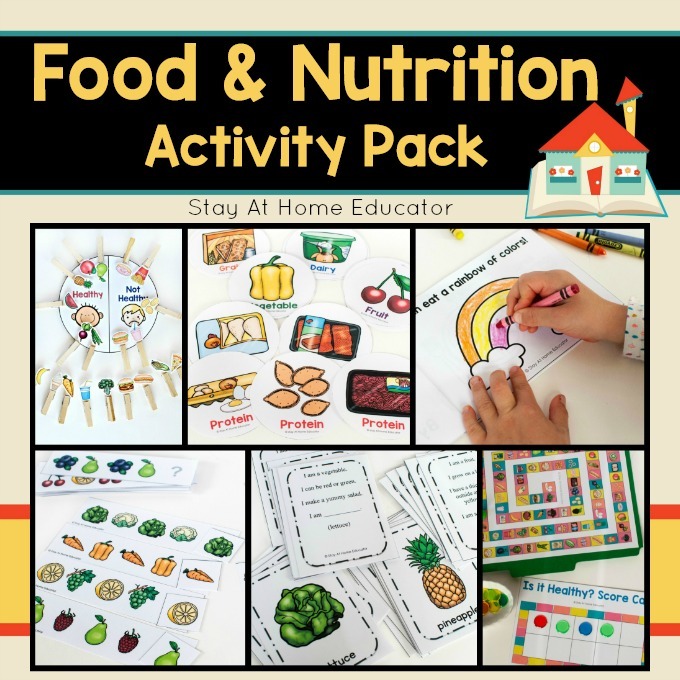 Looking for More Food & Nutrition Printables? 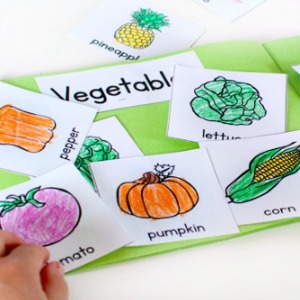 Here are a few more ideas for you to teach healthy eating habits! 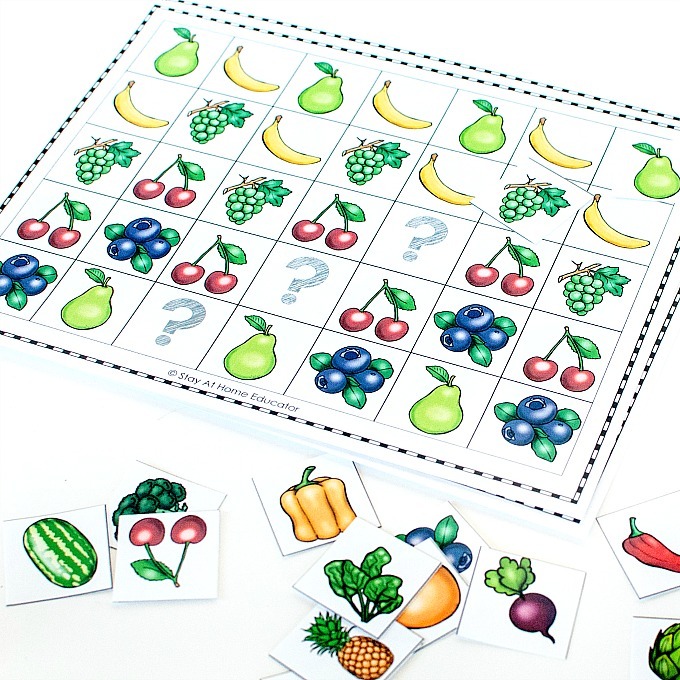 You can use these for circle time or for your Food and Nutrition preschool centers. Even More Food & Nutrition Activities! 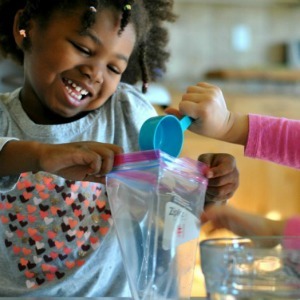 So many fun activities to choose from, all to help with your preschool lesson plans!